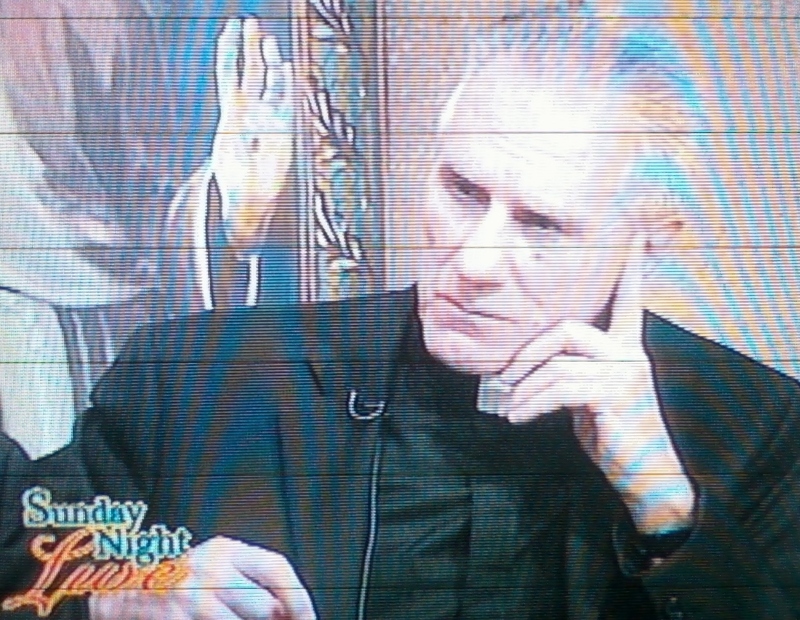 The Institute for Priestly Formation (IPF) was featured on EWTN show Sunday Night Live with host Father Benedict Groeschel. 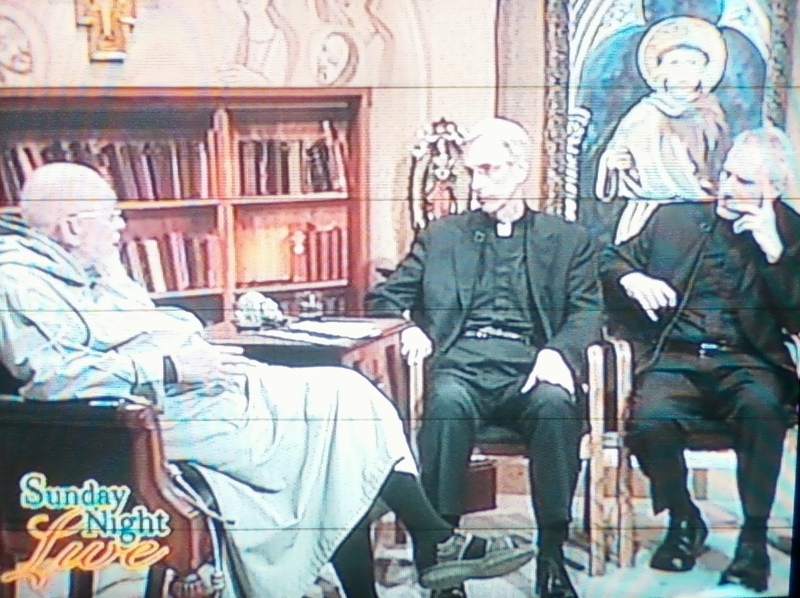 The guests were Father Richard Gabuzda (IPF director) and Father Joe Kelly (priest of New York & IPF faculty). 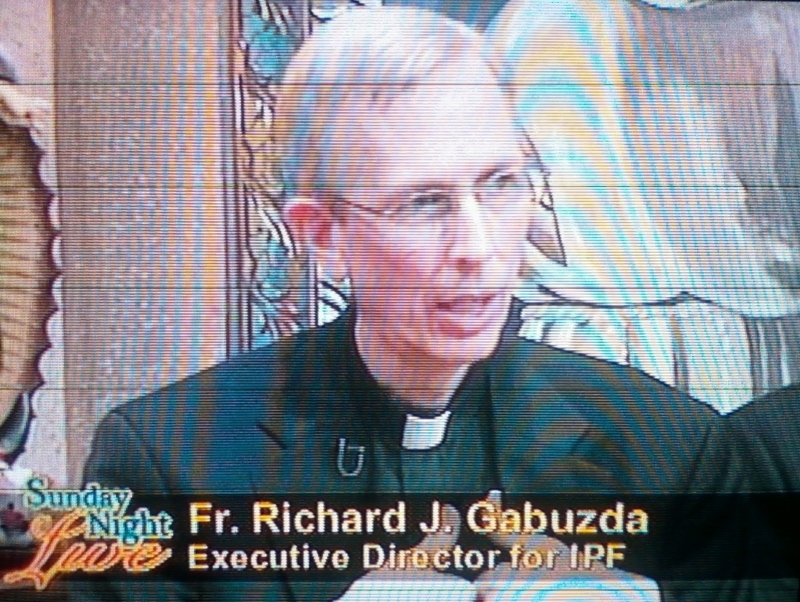 They focused on the the mission of IPF and their efforts in building a Center for Priestly Spirituality. Some great discussions and live call-in questions. They spoke on the summer programs (that I took last summer) and how awesome the Holy Spirit has grown the mission of IPF. I hope they post some of the show on their website or YouTube. 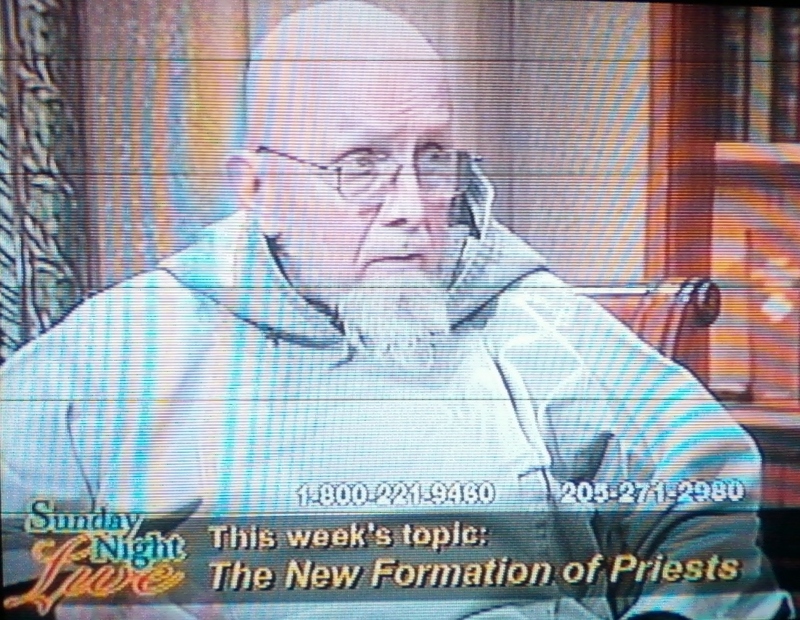 You can order it from EWTN, show #280. 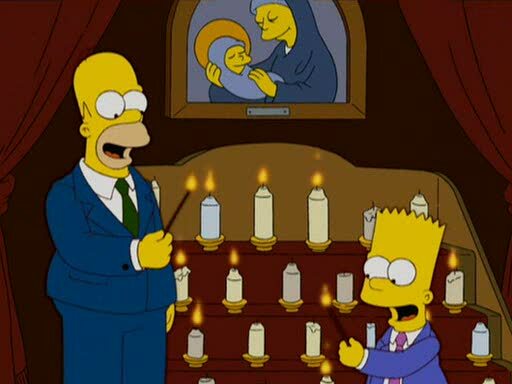 I’m not a huge fan of The Simpsons, but I just watched a episode about Bart going to Catholic school called “The Father, the Son, and the Holy Guest Star.” [S16E21] In the classic Simpsons’ satire, Bart & Homer become Catholic while Protestant Marge tries to bring them back. WOW! A great episode to use with high school discussion groups. This episode touches on all kinds of questions about faith and religion (and there’s lots of paintball in it, too!). 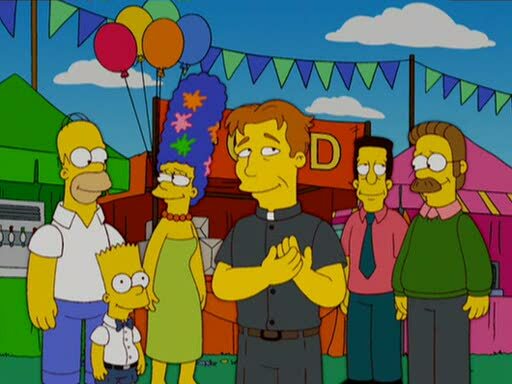 I also found an article about the Vatican praising The Simpsons show. 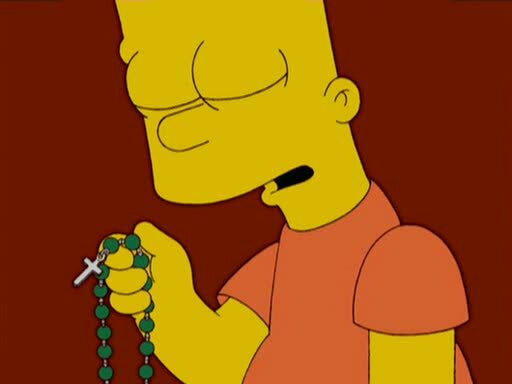 Animated US television show, The Simpsons has gathered praise from the Roman Catholic Church for their “realistic” way of dealing with religion and spreading happiness among viewers. An article published in the Vatican’s newspaper, L’Osservatore Romano has lauded the long-running show, insisting “many today wouldn’t know how to laugh” if the series hadn’t been aired, reported Contactmusic. The newspaper story thanked the show’s producers for depicting family patriarch Homer’s struggle with his own faith through its 20 years on the small screen. “Homer finds in God his last refuge, even though he sometimes gets His name sensationally wrong. But these are just minor mistakes, after all; the two know each other well,” the article said. The story also insisted that The Simpsons success is due to its “realistic and intelligent writing”. The same newspaper had recently paid tribute to ‘Harry Potter and the Half-Blood Prince’, for highlighting the “sacrifice” needed for good to triumph over evil. WOW! Who would think The Simpsons would be watched at the Vatican? What next, Family Guy?